Are Married at First Sight's Jessika and Love Island's Eden Dating Now? Update: Jessika told the Daily Mail, "We took one photo and all of a sudden we are together! He's definitely an attractive guy, but there's nothing going on there. He's just broken up with his girlfriend and I'm happy with where I'm at." In the latest Married at First Sight Australia shocker, there's a chance bride Jessika Power and Love Island Australia's Eden Dally might be a new couple. It all started when the 26-year-old MAFS participant partied with the prison officer last Saturday in Melbourne. In videos shared to Eden's Instagram Stories, the pair can be seen getting close and posing for the camera. The next day, they were seen together again at the St Kilda Festival, along with Jessika's brother Rhyce. Noticeably absent: Jessika's MAFS husband, 31-year-old Mick, who reportedly spent the weekend on his farm in Gympie. Adding fuel to the fire, Married at First Sight season 5 star Telv Williams—who often hangs out with 26-year-old Eden—congratulated "the happy couple" on his Instagram Stories Feb. 13. It's unclear if he was joking about the romance rumours or actually confirming their love. Sydneysider Eden and his Love Island Australia partner Erin Barnett announced their breakup last September after being runners up on the reality dating series. "We wanted to share with you, that after much deliberation, we have quietly parted ways. We look back and cherish the time we have spent together, the memories we have created, in both Spain and in Australia," read their statement. "We can't thank each and everyone of you enough, for the support and love you have shown us, but we have to be honest within ourselves as we realise that our forever as a couple, is no longer. We look forward to supporting each other moving forward and remain best friends." But Erin later hinted at drama behind the scenes. "A leopard never changes its spots," Erin replied to a fan about the reason for their breakup. "Just wasn't meant to be." After getting off to a rocky start (see: that best man's speech and their honeymoon fight), Perth local Jessika and Mick have seemingly been one of the stronger couples on Married at First Sight this season. Meanwhile, former virgin Matthew and makeup artist Lauren quickly fizzled this week when she overheard him telling the boys at the dinner party that he wasn't "attracted" to her. 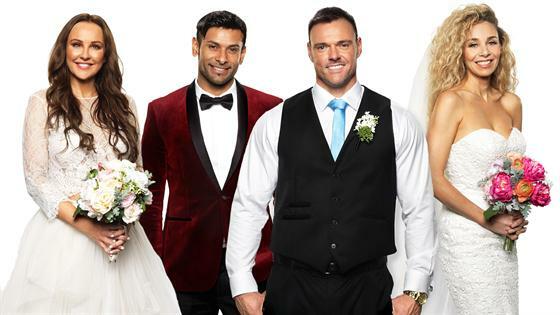 Married at First Sight Australia airs Sunday at 7pm and Monday to Wednesday at 7.30pm on Nine. Queen Elizabeth II Gets 93rd Birthday Tributes From Family: Is William & Kate's Shady?